iPhone 5 prize pack winner announced! iPad case giveaway winners announced! 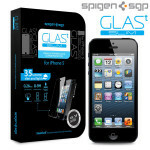 iPhone 5 case giveaway winners announced! Apple's tax-avoidance efforts not unique in design, but certainly in scope and dollars.